In the Arlington, Texas, area is a consumer law firm with a strong focus on motor vehicle accidents, but whose success is no accident: the nationwide firm of Bailey & Galyen, Attorneys at Law. 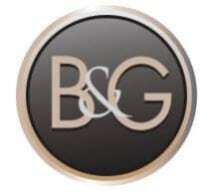 Bailey & Galyen knows personal injury law. Indeed, many of our personal injury lawyers are certified by the Texas Board of Legal Specialization as specialists in the area. We work on the full spectrum of personal injury matters: accidents involving cars, trucks and motorcycles; wrongful death, medical malpractice, product liability, pharmaceutical drugs, birth injuries, animal bites, and nursing home injuries and neglect. We understand that for people who have been injured in an accident, the compensation we win for them may be a kind of lifeline. Our objective is to treat you and your claims with the greatest respect and consideration. Whatever difficulty you face — criminal defense, divorce, personal injury, or any of our 13 practice areas — the law firm of Bailey & Galyen in Arlington, Texas, has one overriding mission: "solving your legal puzzle.™"
We strive to maintain an office environment that is honest, productive and cheerful. Clients appreciate the straightforward way we communicate with them. Affordability and accessibility are important. Initial consultations are free of charge. We offer credit card payments, visits to your home or hospital room, and 24-hour availability by phone. Se habla español aqui. We are committed to your satisfaction 100 percent. In the world of law, nothing trumps experience and expertise. To get this experience and expertise working for you, give Arlington's Bailey & Galyen a call.